Sharleen is part of the 2018 Producers Club, ranking in the top 7% of all agents across her entire company. She has been successful because of her real estate and business knowledge, her skills as an effective negotiator and her reputation as a highly trusted partner. 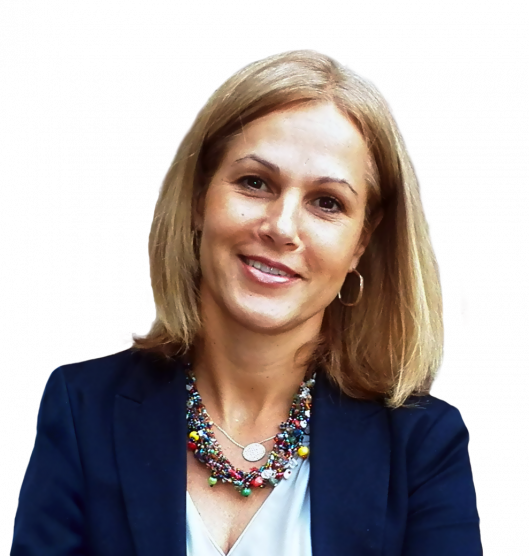 She brings more than 20 years of experience living in Westchester, has international experience and is fluently bilingual in English and French. Growing up in an entrepreneurial family, Sharleen quickly learned some of the key components of business and incorporates these elements into her daily activities as a real estate agent. 1) Have passion about what you do. Her personal experience with buying, selling & renovating homes helps bring a different perspective to the home selling & buying process. Additionally, Sharleen's background in Pharmaceutical Communications and her educational background in Art History result in a keen ability to help her clients visualize and understand the potential in the homes that she helps her clients buy or sell. As a sellers' agent, she helps her clients prepare their homes for the "big reveal" or listing day, and for her buyer clients, she helps them see the potential in homes that may not be putting their best foot forward. Sharleen grew up in Quebec, Canada. She spent 7 years in French school and although she has lived in the United States for 20 years, she is still as adept at transitioning from French to English as the day she moved here. She lives in Scarsdale with her husband and two college bound, hockey player boys and a loving labrador and works in Scarsdale and in the surrounding towns in Westchester County such as Hartsdale/Edgemont, Hartsdale, White Plains, Harrison, and Eastchester as well as other areas. Her interests include: Golf, hockey, skiing, reading, real estate investing and renovating, painting and more recently, cooking (because of her sons' love of eating and cooking) and breaking bread with friends. She enjoys most outdoor activities. To Whom it May Concern: I am most pleased to provide this first hand testimonial for the highly professional real estate brokerage services provided by Sharleen Fleming of Julia B. Fee Sotheby's, Scarsdale. Sharleen worked with me and my two brothers tirelessly for 18 long months to successfully market and sell our 3300 sq. ft., 5 bedroom, 4 1/2 bath, 1939 colonial style family residence in Hartsdale in the Edgemont school district. She was particularly pleasant and patient to deal with. On many occasions Sharleen went way above and beyond the expected to assist us to arrange needed cleaning, maintenance and repair services in order to present the house in as favorable a manner as possible. Together with her manager, Jason Wilson, Sharleen also kept us informed of market developments and strategic information in order to position the premises for optimal marketing. She was very persistent in following up with prospective buyers. The result was a successful sale to new owners who truly value the property. I highly recommend Sharleen without reservation for any property listing and sale, whether or not it is particularly challenging. Sharleen guided us when looking for an house in Westchester when we relocated. She is very knowledgeable about the market and pays close attention to your criteria to narrow down your search as you advance. She is very professional and it was a pleasure to look for a house with her. Sharleen also makes sure to follow you after you are installed in your new home. Sharleen worked with us when we relocated to the New York Westchester area. Her services went well beyond our expectations. She was very patient with us, guided us every step of the way, and advised us to the quality and the costing of the real estate we were considering. Sharleen also makes sure she develops a personal relationship with her clients making us feel comfortable in our new environment. She gave us information not only about the real estate but also with regards to schooling, shopping, leisure and the community we were moving to. I highly recommend her services. Sharleen is a pleasure to work with and very enthusiastic! We have seen Sharleen successfully selling and buying houses in Manor Woods even during down time in real estate. However, when we initially contacted Sharleen, we were not really interested in selling but rather in lowering our taxes. We were discussing maybe selling and moving in distant future when fourth bedroom would be absolute necessity and my kids can’t deal with bunk bed anymore. If we were to sell our house in which we lived for ten years, many things would need to get updated, painted, fixed, and of course decluttered. Not only she provided us with comparative market analysis but she also brought us potential buyers without listing our house and convinced us to sell our home for good price so finally we can get that fourth bedroom. With Sharleen help we were able to sell our home off-market without hassle of preparing it for potential buyers. With three kids and home office we don’t have time to declutter, keep neat, and hide when potential buyers want to check out your house. Sharleen was amazing throughout this whole process which was fast, she was very professional but also very sincere in the way she communicated with us. She was very responsive to all emails, calls and text messages and was there for most of our major appointments, even the ones that we couldn’t come to. So if you are looking for an agent for comparative market analysis of your home or surprising sale of your home - we would highly recommend Sharleen. Sharleen, thank you very much for all of your help in both selling our house and getting us our coop unit. I also thank you for giving Satomi great recommendation on the painter. He was by far the best candidate. She will probably reaching out to you for recommendation on someone who can help with renovating the bathrooms. I also told the buyer of our prior house (Mr. Haq) to reach out to you in case he needs recommendation on people who can help him to renovate the house. So you may be getting a call from him. I recommended you highly and told him that if he has any relatives or friends who wish to buy or sell houses in Westchester, he should contact you. Sharleen demonstrated great knowledge of the Hartsdale market and knows what buyers are looking for as evidenced by the multiple offers we received in the first week of our listing. With her help evaluating the offers, we were in contract a week later. Sharleen is a pleasure to work with from start to finish! Sharleen Fleming was phenomenal as our real estate agent. Our experience with her extended beyond merely just showing us houses and the offer process​, as she gave great advice on home ownership and key factors to consider in a future residence, which was very comforting as first time home owners. Our search process took some time and she was extremely patient throughout the process, never once being pushy or rushing us into any decisions, which was a breath of fresh air. Her expertise in the Westchester location, timing of inventories, and strategic ability when making an offer, allowed us to secure our dream home at a great price. I would recommend Sharleen to anyone looking for a great experience while finding their perfect home. Sharleen is the very definition of a professional! She was always available, by phone, text or email to take care of all the details involved in selling our home of 24 years. Sharleen sold our home in record time, staged it beautifully using some of our furniture plus some of her own at no charge to us, she removed carpeting herself (! ), and made the most of our wonderful house. She took care of any and all problems including the alarm system malfunctions and other emergencies at a moment's notice. We were in Florida during this entire time, and she worked with the lawn people, handymen, etc. throughout the process. We truly felt that we were in capable, reliable hands. She also listened to us and listed the home for more money than the other brokers we interviewed suggested, which netted us a larger return. We couldn't be happier with her and are thrilled that we hired her.